Since the update of guilds/Clans being updated into the game I have given it some thought to this suggestion. It will make players & Guilds be able to make there profiles more graphic and stand out more. being able to add these type of profiles will make guilds stand out more. its abit like on the forum page of clans. It would make the guild/clan stand out alot more and intresting for players to join. call it a customised profile if you will instead of a basic description, with the profile you can edit,add, delete things. same if we did it with a players profile. 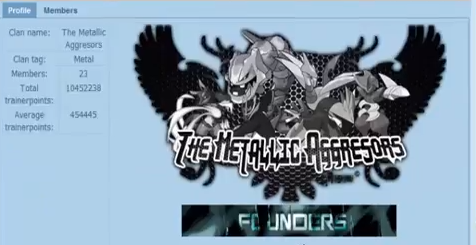 Thanks, I remembered from an older game I use to play they allowed us a 15000 letter limit for the page were we could add graphic for like what pokemon we was looking for team pics etc links to forum pages we created etc. I would very much like to see a lot more development regarding guilds, especially things that enable a guild to more uniquely define itself. Same, its just something that came into mind when I seen them finally come into game, reminded me of an old game I played in 2010. I dont know if the coding would be hard or not. but say we added a 10,000 or 15,000 character limit. an edit and display limit profile between where the map ends and gallery finishes.the profile display could be right here. 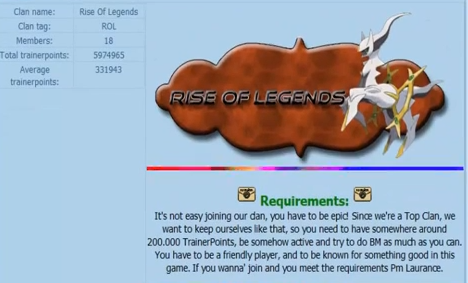 Its just an idea for guilds/play profiles. Good idea and I definitely support it, it would add more to guilds, visually, as well as to their uniqueness. More players would be interested to join guilds and it'd give a nice boost to guilds and to the game. Love the idea and support it full on. Please PL team guild option was introduced by you guys and we as the gaming community are making use of it, but we really want and expect more features and options for this particular part of the game. Supporting this one again, it's an idea that deserves more support of you PL players, and as I already said it would make the game more unique and guilds much better!